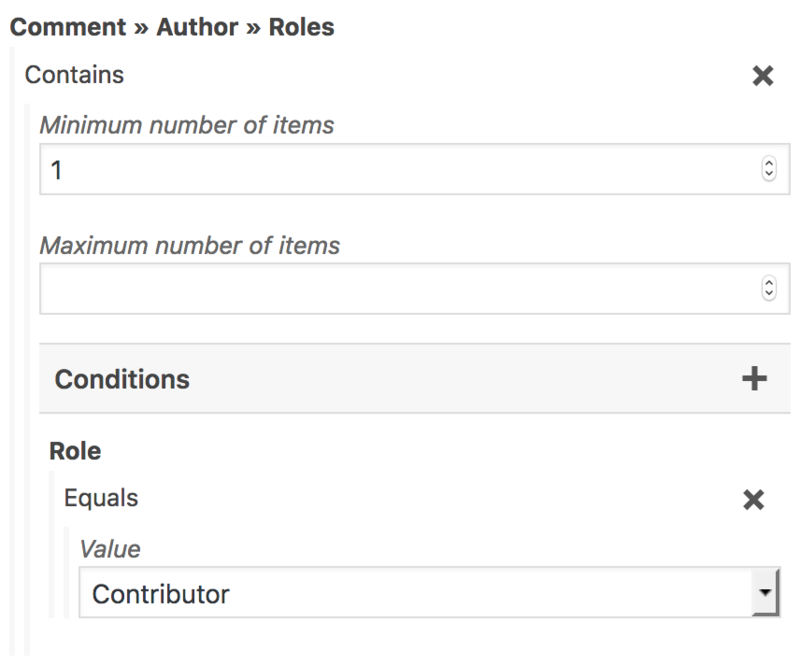 In this example, we’ve chosen the Contributor role. 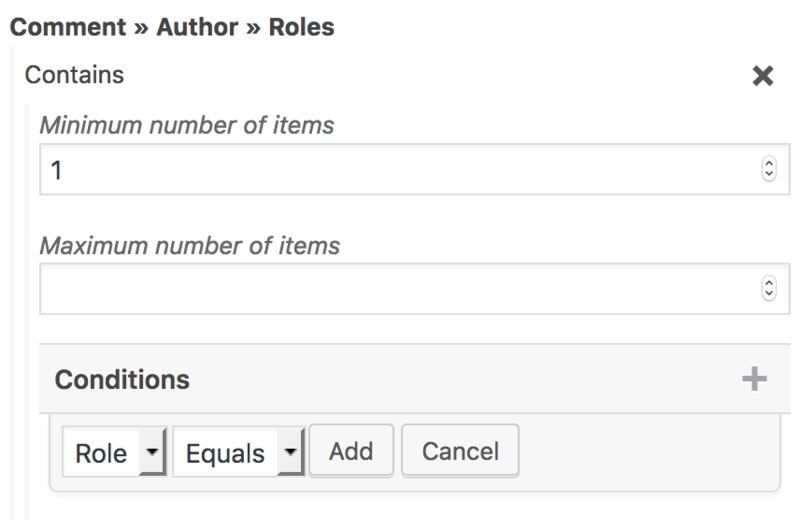 Taken all together, our condition here says that the Roles of the Comment Author must include at least one Contributor role. That means that the user will not be awarded if they don’t have the contributor role, but they will be if they do.